The project to expand Union Station ties in to other major transportation changes, including the District's plans to rebuild the H Street Northeast bridge to improve driver conditions and allow for a D.C. Streetcar extension. WASHINGTON — A major overhaul of Union Station meant to triple use of the station faces significant risks of coming in over budget and behind schedule, a new inspector general’s report warns. Amtrak is in the relatively early stages of a two-decades-long plan to create more and safer spaces for passengers and staff; to upgrade tracks to allow for more and longer trains; and to allow for new development behind the station. The project schedules are even more important because they also tie in to other major transportation changes, including the District’s plans to rebuild the H Street Northeast bridge (known as the “Hopscotch Bridge”) in a way that would improve conditions for drivers and allow for an extension of the D.C. Streetcar to K Street Northwest and Georgetown. In a review of 10 near-term projects included in the Union Station master plan, the Amtrak Office of Inspector General found that better schedules, more-accurate cost estimates and following more best practices for project management are needed to reduce the risks of additional project delays or cost overruns. Already, a project to rehabilitate a track to allow Virginia Railway Express and other southbound trains to use it again on a regular basis has been delayed by a year because Amtrak failed to have a backup plan in place for funding delays tied to VRE’s portion of the project. Several other projects are also missing risk-mitigation plans. In another case, upgrades to electrify two tracks on the other side of the station were delayed by nine months simply because of poor communication among Amtrak departments about what parts were needed when. 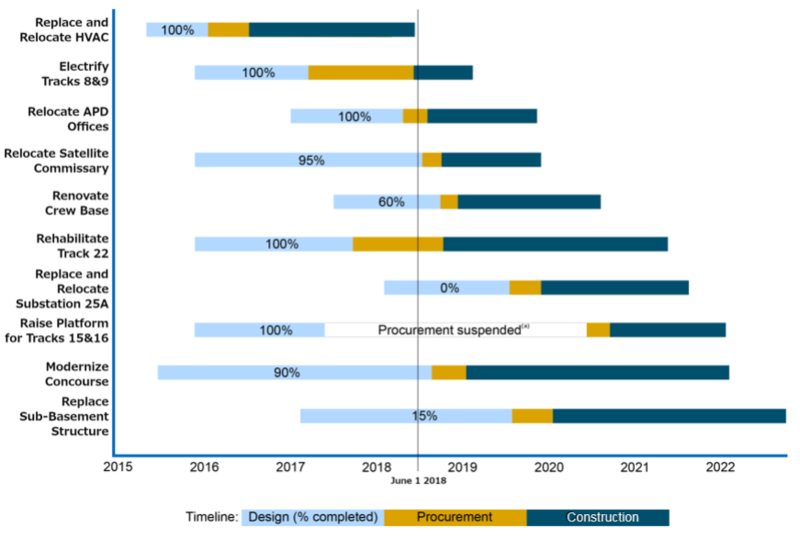 The audit released last week found that while Amtrak estimates the total costs of the 10 projects — nine of which are in design or about to begin construction — is $296 million, that estimate is likely significantly lower than what the true final cost will be. The work to modernize the concourse, rehabilitate the subbasement and improve the rail terminal has processed without regular cost updates as more details about designs and other aspects of the projects have come into focus, the report found. “The company’s nine ongoing improvement projects for Washington Union Station face risks of delays and cost overruns due to weaknesses in its practices for scheduling, cost estimating, and project management,” the audit said. 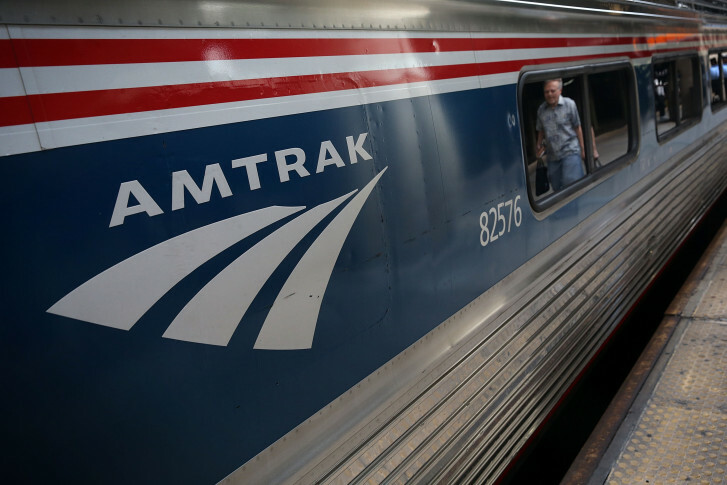 Amtrak is responsible for $201 million of the $296 million in estimated costs; $86.5 million is expected to come from federal grants and loans; and $8.5 million is coming from other stakeholders like VRE. For three projects reviewed, Amtrak had underestimated total costs by at least 7 percent so far, or at least $4 million. Among other issues, Amtrak did not update official cost estimates after significant changes to designs for the concourse overhaul until asked for supporting documentation by the inspector general’s office nearly a year later. Amtrak had promised to address similar issues across the country by last fall following separate inspector general reports on nationwide management challenges, Baltimore Penn Station redevelopment and New York-area rail projects. In this case, Amtrak failed to compile a detailed master schedule of what needed to be done and when to complete and coordinate each of the projects, but the Office of Inspector General said there is still time to mitigate the risk of any additional issues. Amtrak management agreed with the findings, and promised to implement all fixes by January. Amtrak has already completed a new HVAC system, and now is working to electrify tracks eight and nine. It’s also beginning work on a new two-story building to house Amtrak Police offices, and soon will move toward construction of the other projects. Work to raise the platform between tracks 15 and 16 to meet Americans with Disabilities Act requirements has been put on hold until other more-pressing projects are completed. A relocation of Amtrak’s satellite commissary to make way for the Hopscotch Bridge reconstruction is scheduled to be completed by 2020, and all 10 of the near-term projects are due to be completed by 2023. The Amtrak portion of Union Station serves about 5.2 million riders each year. The Metro station there serves additional trips, and is also due to get an entrance overhaul.